Each year, the Mt. Pleasant Figure Skating Club hosts the Mountain Town Classic Competition. The event is part of the Michigan Basic Skills Series, and hosts competitors from all over the state. 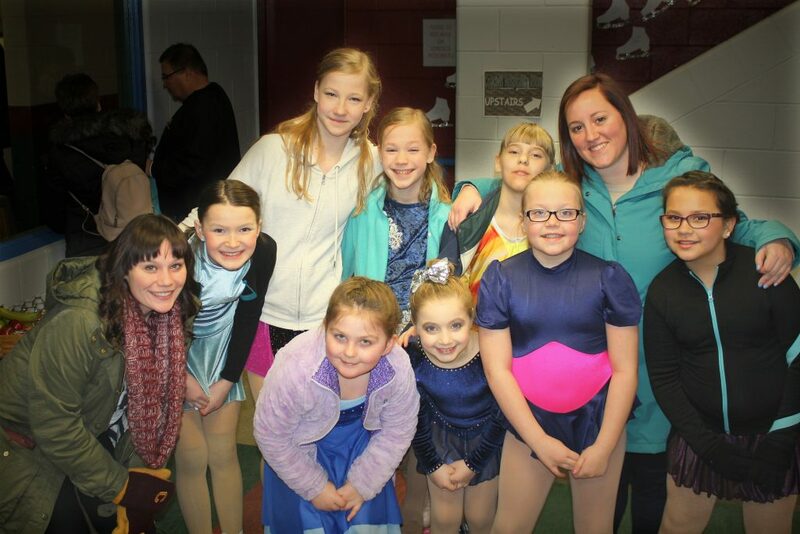 Skaters from Snowplow Sam to Preliminary level compete in various events including Elements (Compulsory) and Programs to music (Free Skate) This is a great opportunity for your Learn to Skate skater to try competing in an environment that is familiar and comfortable for them. When is the 2019 Competition? What is the purpose of the Basic Skills Series Competitions? 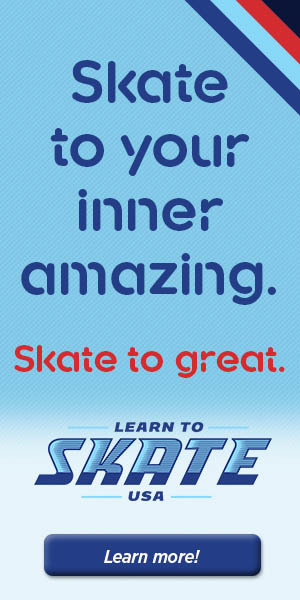 To promote a FUN, introductory, competitive experience for beginning skaters. Skaters will perform the moves they learn in their Learn to Skate classes. What is the Basic Skills competition format? The Basic Skills Element Event for Snowplow Sam – Basic 6 is similar to one of our test sessions for Basic Skills Badges. Each skater in the group or flight will be asked to perform the elements learned at that level one at a time. While the skater is performing the elements there will be judges assessing their skills and assigning them scores based on how well the skill was completed. All of the skills they will be performing are ones they’ve already learned in their Learn to Skate Classes. Once all competitors in the flight are finished, the judge’s scores for each skater are brought to the accountant to tally. Those numbers are then converted to ordinals (1,2,3,4,5,6) which determine the skaters placement. Once these results are certified they will be posted and the awards ceremony will take place. For Basic Skills competitions, every skater who participates will receive a medal corresponding to their final placement. Most events are limited to 6 skaters per group or flight. Shortly after the results are posted the skaters will be called to the podium area where the medals will be awarded. The ceremony is a great chance to take photos, so be sure to bring your camera! What Basic Skills level would my child compete at? Skaters must enter at the highest level passed or the current level in which they are enrolled. For example, if the skater has just passed Level 1, they could enter at that level OR at Level 2 if they feel they are ready. Your skater’s instructor or our Learn to Skate Director, would be happy to help you decide on the correct level. My child just started in Learn to Skate lessons, will they be ready to compete? Yes, they certainly can be! 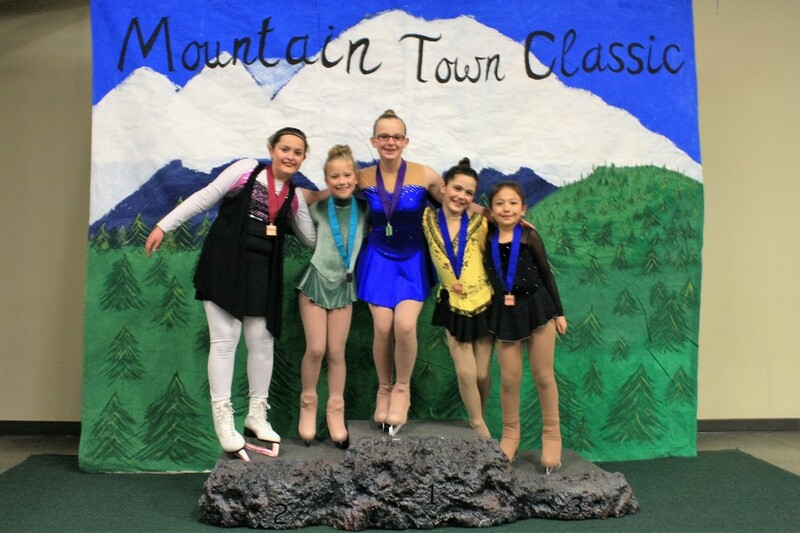 The 2019 Mountain Town Classic falls a month into our Spring Session, so skaters will have several lessons to help them prepare. Also during the week prior to competition we will have extra practice time available just for competitors! Does my skater need a Private Coach to Compete? Skaters competing in the Element Events do not need a Private Coach to compete. They will be able to utilize Learn to Skate time for practice, as well as extra practice time during the week before the event just for competitors. A Learn to Skate Coach will be assigned to help your skater on the day of the competition as well. Can my child compete with a Program to Music like they see in the Olympics? A program with music (Freestyle program) is coordinated and choreographed with the help of a private coach and requires additional time and monetary commitment, outside of Learn to Skate group lessons. If your skater is interested in exploring this form of competing and you wish to learn more about it or want to inquire about hiring a coach, please chat with our Learn to Skate Director after lessons or via email at mtpleasantfsc@gmail.com. For MPFSC Learn to Skate USA Members competing in Snowplow Sam – Pre Free Skate the cost to compete is $40 for the first event and $20 for each subsequent event. For skaters beyond Basic Skills who are entering events at the Beginner – Preliminary levels, the cost is $50 for the first event and $20 for each additional event. EZ-Registration forms will be available at the Learn to Skate Cart. Online registration will also be available at Sk8Stuff. Registration and payment deadline for the 2019 competition should be announced by late February. How long does the competition take? Schedules will be available at the rink and at sk8stuff.com in the week prior to the competition, but Basic Skills Element Events are usually held in the morning. Your child will need to arrive 1 hr prior to their time slot to register and prepare to take the ice. Events can move faster or slower than expected, so it’s important to be ready in advance. What should my child wear for competition? Your child may wear whatever they feel comfortable in. Boys usually choose to wear dark pants, shirt and turtleneck or sweater. Most girls will wear a skating dress* or a skirt with a sweater and tights. Hair should be neat, with long hair pulled back in either a bun or ponytail. *If you are interested, MPFSC has a rack with dresses for sale that might work for your skater. Ask at the LTS cart for details. Are there more Basic Skills Competitions my skater can enter? Yes! 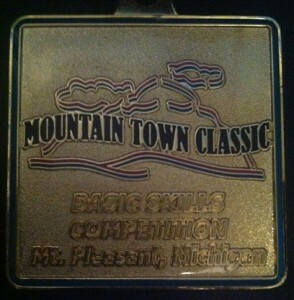 The Mountain Town Classic is part of the Michigan Basic Skills Series. The series features 14 competitions across the state of Michigan and Indiana. Skaters who skate in the elements/compulsory and/or free skate events earn points based on their placement. Points from each competition are added up and the top three skaters at each level who have competed at 3 or more competitions will receive special series medals at the Finale Competition in Midland in November. 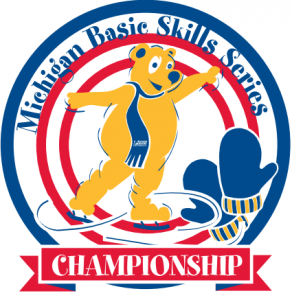 Be sure to “Like” the Michigan Basic Skills Series on Facebook to stay up to date with the upcoming competitions. Remember, every child competing is special to someone. Skaters and families should be respectful of all competitors. In the audience, refrain from entering, exiting, or wandering the bleacher area while skaters are performing. There’s plenty of time in between skaters to move around. Be supportive of your skater and be attentive to and appreciative of the efforts of all skaters. Have more questions? Email us at mtpleasantfsc@gmail.com or ask at the Learn to Skate Cart.